Secret contracts, covert real-estate deals, scurrying around after nightfall to avoid detection: this is how far big-bank brokers are prepared to go when they plan to go independent...The Botkin Group, a team of brokers in Pittsburgh who produced $1.6 million in revenue last year for Morgan Stanley, went so far as to require non-disclosure agreements from contractors who made new signs, installed phones and delivered furniture to their new office. They never visited the building during daylight, always staggered their arrival times and parked in the back...They represent growing numbers of brokers who are leaving big bank brokerages, such as Morgan Stanley, Bank of America&apos;s Merrill Lynch, Wells Fargo Advisors and UBS Group AG to branch out on their own. Founded in 2011, TenXer provides data-driven management tools for engineers and their managers to improve their work output. It has raised $4.7 million in funding from investors that include True Ventures, Radar Partners and Khosla Ventures. As of Wednesday&apos;s close, Federal funds futures implied liftoff from zero in the final week of November, according to an index maintained by analysts at Morgan Stanley. That&apos;s been pushed back from September as of two weeks ago, before the policy-setting Federal Open Market Committee&apos;s March meeting. Bill Ackman, Dan Loeb and Barry Rosenstein — all of whom reported full first-quarter numbers this week — are outpacing the broader stock indexes. A state trooper has been reprimanded for posing for a photo with Snoop Dogg at the South by Southwest festival in Austin, because the rapper has several convictions for drug possession. Billy Spears was working security at the March event when Snoop Dogg asked to take a picture with him. The artist posted the image to Instagram with the comment, "Me n my deputy dogg." Department of Public Safety and Transportation officials saw the posting and cited Spears for deficiencies that require counseling by a supervisor. Spears&apos; attorney says his client didn&apos;t know about the rapper&apos;s criminal record. Spears can&apos;t appeal the citation because it isn&apos;t a formal disciplinary action. Backing Mr. Emanuel, a former Democratic congressman and President Obama’s first White House chief of staff, may seem an unusual choice for Mr. Griffin. A self-made billionaire who started trading convertible bonds from his dormitory room at Harvard, Mr. Griffin does not like big government. He thinks taxes are too high and corporate regulation is too burdensome. While he has rarely commented on his political donations, in 2012 Mr. Griffin said he considered himself a “Reagan Republican” and that he thought the rich have “insufficient influence” on the political process. Increasingly wary of the growing power of a set of U.S. technology superpowers, European officials are escalating their scrutiny of companies including Facebook Inc.,Apple Inc. and Google Inc. in realms that span taxation, personal privacy and competition law. For my $500, I get 450 CUCs, the currency that’s been required for the purchase of almost anything important in Cuba since 1994. CUCs aren’t paid to Cubans; islanders receive their wages in a different currency, the grubby national peso that features Che Guevara’s face, among others, but is worth just 1/25th as much as a CUC. Issued in shades of citrus and berry, the CUC—dollarized, tourist-friendly money—has for 21 years been the key to a better life in Cuba, as well as a stinging reminder of the difference between the haves and the have-nots. But that’s about to change: Cuba is going to kill the CUC. Described as a matter of fairness by President Raúl Castro, the end of the two-currency system is also the key to overhauling the uniquely incompetent and centrally planned chaos machine that is the Cuban economy. Stresses in the repo market are amplifying price swings in government bonds and related debt markets at a time when many investors are reshuffling their portfolios around new interest-rate expectations, following a period of low volatility, traders and analysts said. Vanilla Ice, whose real name is Robert Van Winkle, accepted a plea deal in Florida Thursday that will get rid of grand theft charges filed against him provided he completes community service and pays restitution. The former rapper was arrested in February on charges of grand theft for allegedly stealing a pool heater, bicycles and other belongings from a home that is in forclosure proceedings, according to the Palm Beach Post. Robert Van Winkle, also known as Vanilla Ice, was accused of stealing items from this Florida home that was in foreclosure. Van Winkle has called the incident a “misunderstanding” that occurred while he was renovating a nearby house. Programming Note: We&apos;re on an abbreviated, bank holiday-esque schedule today. Opening and closing wraps, with some light posting throughout the day, back in full force on Monday. 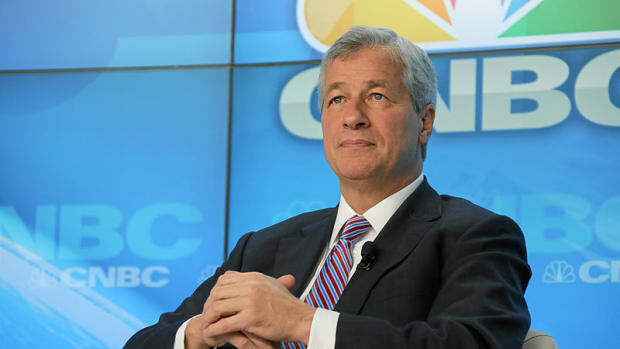 Did Carl Icahn screw over Jamie Dimon? Can non-white-men make it in hedge funds? Does Mark Cuban know how Twitter works?